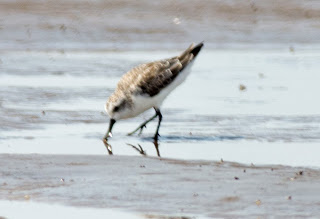 During the week of 16-21 December 2013, Viet Nature participated in a global census of Spoon-billed Sandpiper wintering grounds supported by the Royal Society for the Protection of Birds (RSBP). This is the first time in Vietnam that bird conservation specialists have worked with bird watchers and volunteers to conduct the surveys in the coastal areas of the Red River Delta in the north and the Mekong River Delta in down south. The information collected from the surveys is expected to help inform conservation decisions and actions, so that we can best decide when, where and how to help the Spoon-billed Sandpipers, one of the rarest migrant birds in the world. Recent research suggests that there are only about 100 breeding pairs alive in the wild. The population is declining at an alarming rate and will become extinct within the next decade without our help. Every year, Spoon-billed Sandpipers travel about 8,000 km from their Siberian breeding grounds to the coasts of south-east Asia. On this dangerous journey, the birds face many fatal problems including hunting on their wintering grounds in Myanmar and Bangladesh, and habitat loss due to the rapid coastal development taking place in that part of Asia. 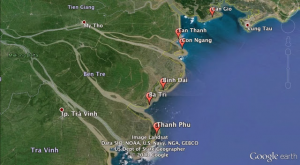 Similar results were also reported by a volunteer team in the Mekong Delta lead by Nguyen Hoai Bao, ornithologist from Ho Chi Minh City University of Science. 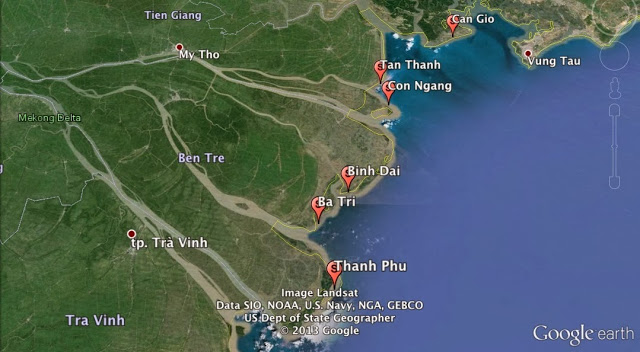 Extensive surveys from Can Gio island (HCM City) to Tien Giang and Ben Tre provinces confirmed that reclamation of inter-tidal sites might be the most important threat, but trapping appears to be a key reason for the recent population decline. The detailed results of the surveys in Vietnam as well as other sites in Japan, China, Thailand, and Myanmar are being consolidated and will be available in the next few weeks.